Southern Cone Travel: China Dam(n)s Argentine Patagonia? 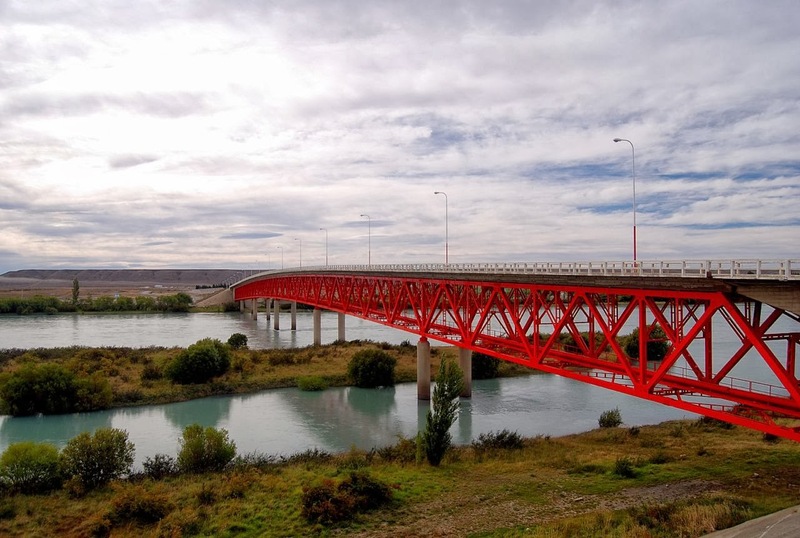 For some years now, there’s been controversy over the ecological impact of several new dams planned for Chilean Patagonia, and concern over the deforestation required to build transmission towers through thousands of kilometers an almost roadless area. That’s still unsettled but, in the interim, plans for similar hydroelectric projects in Argentine Patagonia have gone almost unnoticed outside the country’s borders. Environmentally, the parallels are imperfect. On the well-watered Chilean side, exposed to Pacific storms, the dense native forests are vulnerable and erosion could be severe; on the Argentine side, the Río Santa Cruz meanders through seemingly endless steppe. 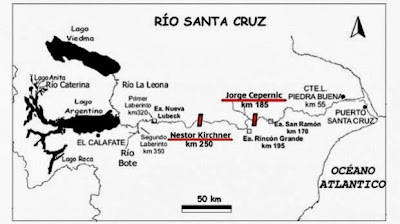 In April of 1834, according to Charles Darwin, Captain Robert FitzRoy of the HMS Beagle organized an excursion up the broad Río Santa Cruz, around the site of present-day town of Piedra Buena (the bridge pictured above crosses the river just south of town), but the strong current forced the crews of three whaleboats to pull the vessels upstream from shore. As Darwin described it, the river (pictured above) “runs in a winding course through a valley, which extends in a direct line westward. This valley varies from five to ten miles in breadth; it is bounded by step-formed terraces, which rise in most parts, one above the other, to the height of five hundred feet, and have on the opposite sides a remarkable correspondence.” Over three weeks, the expedition managed to ascend roughly 140 miles and came within sight of the snow-covered Andes before turning back; an ascent that took them nearly six days of hard labor took just one to return to the Beagle, anchored on the Atlantic coast. 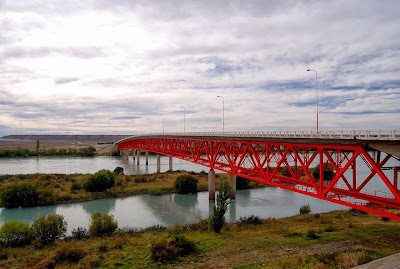 Given the terrain that Darwin describes, the hydroelectric potential is obvious and, in fact, there are two dams planned at sites downstream from the popular tourist town of El Calafate. 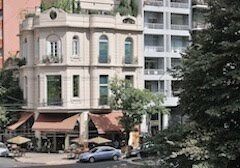 The more westerly of the two will be named for the late president Néstor Kirchner, husband of current president Cristina Fernández de Kirchner, while the more easterly will take its name from Jorge Cepernic, a former governor of Santa Cruz province. 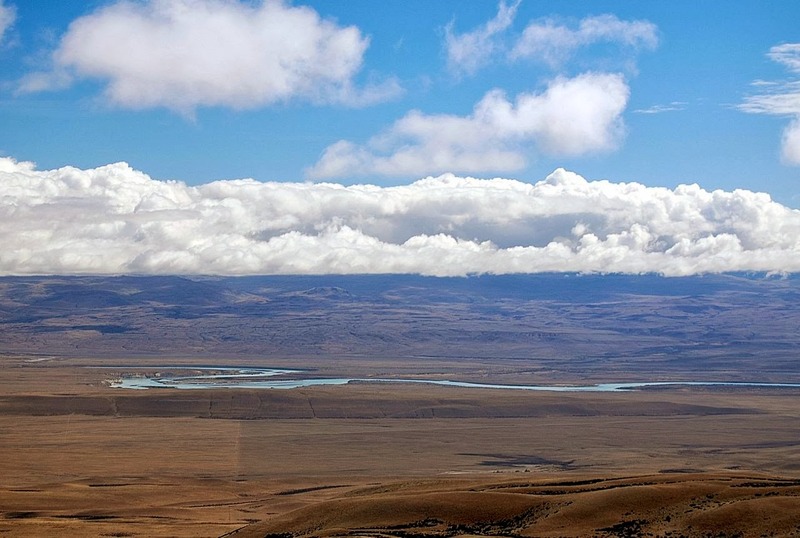 While the ecological consequences of flooding parts of the sprawling Argentine steppe may not be quite so dire as deforesting the Chilean side and submerging its rushing whitewater, the project is not without controversy. First proposed in 2007, it failed to find adequate funding and then, three years later, a Buenos Aires-based consortium took it over. That lasted only briefly, though, after a dispute between the province and the federal government, followed by a new contract with a different group and the Chinese construction company Gezhouba, which built the controversial Three Gorges Dam on the Yangtze. The cost, though, will be nearly US$1 billion greater than the previous bid, raising questions as to where all that extra money will go.